In accordance with The Department for Education we aim to actively promote British values in schools to ensure young people leave school prepared for life in modern Britain. Pupils are encouraged to regard people of all faiths, races and cultures with respect and tolerance and understand that while different people may hold different views about what is 'right' and 'wrong', all people living in England are subject to its law. As you may be aware our school charity for this year is the Royal British Legion. 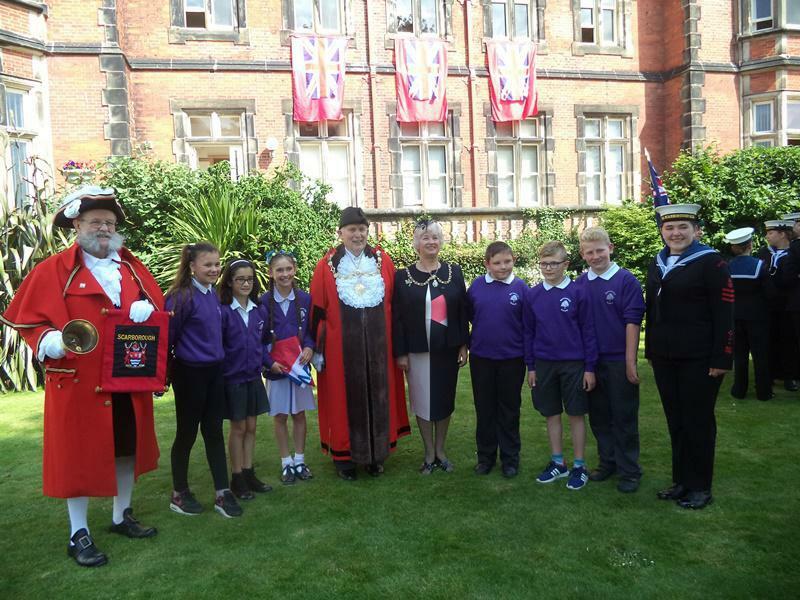 As a result of our fund raising efforts, we were invited to take a group of children to the Annual Flag Raising Day, which took place at the Town Hall on Monday 19th June 2017. We are extremely proud that our school was chosen as this is a great honour. Please click on the Gallery link below to see more photos from the day. Uploaded by Barrowcliff School on 2018-02-19.